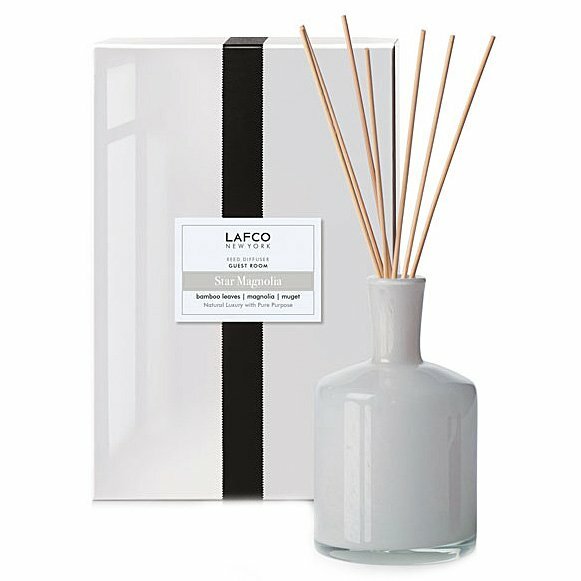 LAFCO Guest Room (Star Magnolia) Diffuser: Magnolia and muguet clippings add a burst of freshness to the guest room as bamboo leaves on the windowsill dance with the rose bushes just outside. You may only be a visitor, but a hand-written thank-you note might procure another invitation. Magnolia, muguet, jasmine and green bamboo leaves drape over bamboo wood, bois de rose and orange flower.